This study aimed to investigate whether berberine nanoparticles (BBR-NPs) and/or cisplatin supplementation could prevent hepatocarcinogenesis-induced by N-nitroso-diethylamine (DENA) in male rats. Male Wistar albino rats were divided into five groups; Group 1: Control; Group 2: DENA-CCl4; Group 3: DENA-CCl4+Cisplatin; Group 4: DENA-CCl4+BBR-NPs; Group 5: DENA-CCl4+Cisplatin+BBR-NPs. DENA-CCl4 significantly increase AST, ALT, ALP, LDH, GGT, AFP activities and total bilirubin, while, 5, NT, total protein and albumin decreased. DENA-CCl4 treatment caused increment in MDA levels and reduction in SOD, CAT, GPx and GSH in liver tissues. Moreover, DENA-CCl4 increase the gene expression of ADAM17 and TNF-a however, P53 was declined. In addition, DENA-CCl4 caused severe histopathological lesions in the liver tissue. Interestingly, administration of berberine nanoparticles alone or in combination with cisplatin improves the hepatocarcinogenesis induced by DENA-CCl4 on the physiological, biochemical, molecular and histological levels by decreasing oxidative stress and preserving gene expression of ADAM17, TNF-I and P53. The present findings suggest that BBR-NPs with cisplatin might offer a promising strategy for the prevention of liver cancer. Dohler, N., Krolop, L., Ringsdorf, S., Meier, K., Ko, YD., Kuhn, W., Schwalbe, O. and Jaehde, U. (2011). Task allocation in cancer medication management-integrating the pharmacist. Patient Educ Couns, 83, 367-74. Metri, K., Bhargav, H., Chowdhury, P. and Koka. PS. (2013). Ayurveda for chemo-radiotherapy induced side effects in cancer patients. J Stem Cells, 8, 115-129. Turel, I. (2015). Special Issue: Practical Applications of Metal Complexes. Molecules, 20, 7951-7956. Florea, AM. and Büsselberg, D. (2011). Cisplatin as an Antitumor Drug: Cellular Mechanisms of Activity, Drug Resistance and Induced Side Effects. Cancers, 3, 1351-1371. Karavelioglu, E., Boyaci, MG., Simsek, N., Sonmez, MA., Koc, R., Karademir, M., Guven, M. and Eser, O. (2015). Selenium protects cerebral cells by cisplatin induced neurotoxicity. Acta Cir Bras, 30, 394-400. Cai, W., Gao, T., Hong, H. and Sun, J. (2008). Applications of gold nanoparticles in cancer nanotechnology. Nanotechnol Sci Appl, 1, 17–32. Athar, M. and Das, AJ. (2014). Therapeutic nanoparticles: state of the art of the nanomedcine. Adv Mater Rev, 1, 25-37. Imanshahidi, M. and Hosseinzadeh, H. (2008). Pharmacological and therapeutic effects of Berberis vulgaris and its active constituent, berberine. Phytother Res, 22, 999-1012. Rockova, L., Majekova, M., Kost, D. and Stefek, M. (2004). Antiradical and antioxidant activities of alkaloids isolated from Mahonia aquifolium. Structural Aspects Bioorg Med Chem, 12, 4709–4715. Küpeli, E., Koar, M., Yeilada, E., Hüsnü, K., Baer, C. (2002). A comparative study on the anti-inflammatory, antinociceptive and antipyretic effects of isoquinoline alkaloids from the roots of Turkish Berberis species. Life Sci, 72, 645-7. Kim, TS., Kang, BY., Cho, D. and Kim, SH. (2003). Induction of interleukin-12 production in mouse macrophages by berberine, a benzodioxoloquinolizine alkaloid, deviates CD4 T cells from a Th2 to a Th1 response. Immunology, 109, 407–414. Zhou, Y., Liu, SQ., Peng, H., Yu, L., He, B. and Zhao, Q. (2015). In vivo anti-apoptosis activity of novel berberine-loaded chitosan nanoparticles effectively ameliorates osteoarthritis. Int. Immunopharmacol, 28, 34-43. Vermorken, JB., Van Der, VWJF., Klein, I., Gall, HE., Pinedo, HM. (1982). Pharmacokienetic of free platinum species following rapid, 3-hrs and 24 hrs infusions of cis -diammine dicholoroplatinium (II) and its therapeutic implication. Eut Cancer Clin Oncolo, 18, 1069-1074. Ghareeb, D., Amarry, H., Hafez, H., Hussien, H., Abd-Elmegied, A. and Abd EL-Moneam, N. (2013). 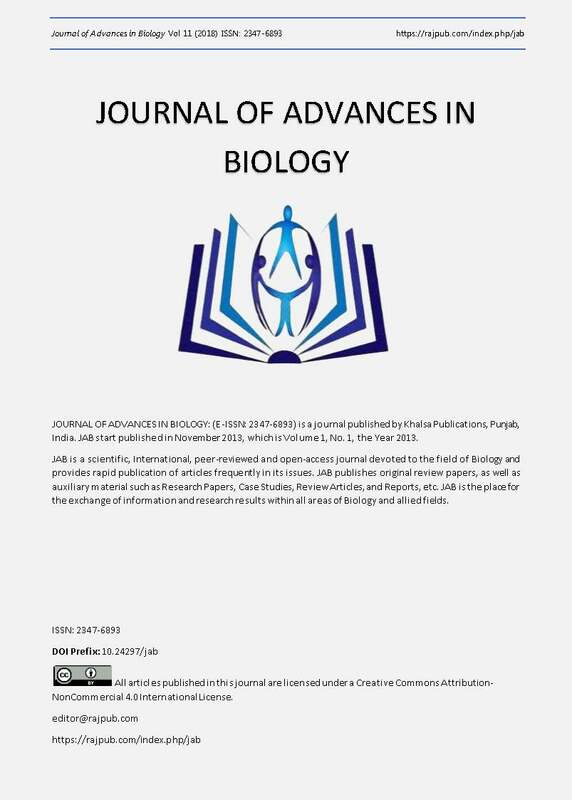 4In vivo biochemical and molecular characterization of anti-acetylcholinesterase berberine as amyloid precursor protein translation blocker for Alzheimer's disease treatment. Neuro Degenerative Disease, 11 (Suppl 1). Bancroft, D. and Gamble, M. (2002). The theory and practice of histological technique. 5th Ed. Churchill, Living Stone: Elsevier, 75. Tietz NW. Clinical Guide to Laboratory Tests. 3rd Ed. Philadelphia: WB. Saunders 1995. Burtis CA and Ashwood ER. Tietz Textbook of clinical chemistry. 3rd ed. Philadelphia, PA: WB Saunders 1999. Wan, Y., Chong, LW. and Evans, RM. (2007). PPAR-? regulates osteoclastogenesis in mice. Nature Med., 13, 1496-1503. Heppel, LA. and Hilmore, RJ. (1951). Purification and properties of 5-nucleotidase. J Biol Chem;188, 665-676. Young, DS. and Friedman, RB. Effects of disease on clinical laboratory tests. 4th ed. Washington, DC: AACC Press 2002. Tietz, NW. Fundamentals of Clinical Chemistry. 6rd Ed. St. Louist: Saunders Elsevier 2008. Bates, SE. (1991). Clinical applications of serum tumor markers. Ann Intern Med, 115, 623-8. Marklund, S. and Marklund, G. (1974). Involvement of the superoxide anion radical in the autoxidation of pyrogallol and a convenient assay for superoxide dismutase. Eur J Biochem, 47, 469-474. Aebi, H. Catalase in vitro. (1984). Methods. Enzymol, 105, 121-26. Paglia, DE. and Valentine, WN. (1967). Studies on the quantitative and qualitative characterization of erythrocyte glutathione peroxidase. Lab Clin Med, 70, 158-169. Jollow, DJ., Mitchell, JR., Zampaglione, N. and Gillete, JR. (1974). Bromobenzene-induced liver necrosis, Protective role of glutathione and evidence for 3,4-bromobenzeneoxide as the hepatotoxic metabolite. Pharmacol, 11, 151-169. Tappel, AL. and Zalkin, H. (1959). Inhibition of lipid peroxidation in mitochondria by vitamin E. Arch Biochim Biophys, 80, 333-336. Victor, SU. (2015). The new field of the nanomedicine. IJAST, 5, 79-88. Dounighi, NM., Eskandari, R., Avadi, MR., Zolfagharian, H., Sadeghi, AM. and Rezayat, M. (2012). Preparation and in vitro characterization of chitosan nanoparticles containing Mesobuthus eupeus scorpion venom as an antigen delivery system. J Venom Anim Toxins Incl Trop Dis, 18, 44-52. Kartika, R., Raoa, CV., Pushpangadanb, P., Trivedic, SP., Gaddam, DR. (2010). Exploring the Protective Effects of Abrus precatorius in HepG2 and N-Nitrosodiethylamine-Induced Hepatocellular Carcinoma in Swiss Albino Rats. IJPS, 6, 99-114. Gupta, R., Anwar, F. and Khosa, RL. (2013). The effect of sulfamethoxazole and selenium on antioxidant defense system in the blood of rats treated with DEN. IOSR-JPBS, 8, 2278-3008. Mohanty, JG., Nagababu, E. and Rifkind. JM. (2014). Red blood cell oxidative stress impairs oxygen delivery and induces red blood cell aging. Front Physiol, 5, 1-6. Salau, AK., Yakubu, MT. and Oladiji, AT. (2016). Effects of aqueous root bark extracts of Anogeissus leiocarpus (DC) Guill & Perr and Terminalia avicennioides Guill & Perr on redox and hematological parameters of diethylnitrosamine-administered rats. IJT,10, 21-29. Ashraf, YN. (2014). The protective effect of aged garlic extract against the oxidative stress induced by cisplatin on blood cell parameters and hepatic antioxidant enzymes in rats. Toxicol Rep, 1, 682–91. Mohamed, HE., El-Swefy, SE., Mohamed, RH., Amal, MH. and Ghanim, AM. (2013). Effect of erythropoietin therapy on the progression of cisplatin induced renal injury in rats. Exp Toxicol Pathol, 65, 197-203. Sindhu, G., Susithra, M. and Vijayalakshmi, N. (2012). Evaluation of hepatoprotective effect of berberine in paracetamol induced experimental hepatotoxicity in Wistar rats. Int J Recent Sci Res, 3, 569 - 573. Li, Z., Geng, YN., Jiang, JD. and Kong, WJ. (2014). Antioxidant and anti-Inflammatory activities of berberine in the treatment of diabetes mellitus. Evid Based Complement Alternat Med, 2014, 1-12. Ma, X., Jiang, Y., Wu, A., Chen, X., Pi, R., Liu, M. and Liu, Y. (2010). Berberine attenuates experimental autoimmune encephalomyelitis in C57 BL/6 mice. PLoS One, 5, 1-8. Chen, XW., Di, YM., Zhang, J., Zhou, ZW., Li, CG. and Zhou, SF. (2012). Interaction of herbal compounds with biological targets: A case study with berberine. Scientific World Journal,1-31. Dkhil, MA. (2014). Role of berberine in ameliorating Schistosoma mansoni-induced hepatic injury in mice. Biolo Res, 47, 1-7. Roy, SR. and Gadad, PC. (2016). Effect of ? asarone on diethylnitrosamine induced hepatocellular carcinoma in rats. Indian J Health Sciences, 9, 82-88. Abdel-Halim, AH., Fyiad, AA., Ali, MM. and Soliman, SM. (2015). Anticancer properties of resveratrol on chemically induced hepatocellular carcinoma in rats: Inhibition of metastasis and angiogenesis. J Chem Pharm Res, 7, 913-21. Hemieda, FAE., Serag, HM., El-Baz, E. and Ramadan, SME. (2016). Therapeutic efficacy of licorice and/or cisplatin against diethylnitrosamine and carbon tetrachloride-induced hepatocellular carcinoma in rats. J Am Sci, 12, 10-19. Mohamed, NZ., Aly, HF., El-Mezayen, HA. and El-Salamony, HE. (2016). Bee honey modulates the oxidant-antioxidant imbalance in diethylnitrosamine-initiated rat hepatocellular carcinoma. JAPS, 6, 156-163. Al-Rejaie, SS., Aleisa, AM., Al-Yahya, AA., Bakheet, SA., Alsheikh, A., Amal, G., Fatani, AG., Al-Shabanah, OA. and Ahmed, MMS. (2009). Progression of diethylnitrosamine-induced hepatic carcinogenesis in carnitine-depleted rats. World J Gastroenterol, 15, 1373-1380. Pradeep, K., Mohan, CVR., Gobianand, K. and Karthikeyan, S. (2007). Silymarin: An effective hepatoprotective agent against diethylnitrosamine-induced hepatotoxicity in rats. Pharm Biol, 45,707–714. Gowda, S., Desai, PB., Hull, V., Math, AAK., Vernekar, SN. and Kulkarni, SS. (2009). A review on laboratory liver function tests. The Pan African medical journal, 3, 17. Hyder, M.A., Marghoob, H. and Abdelmarouf, M. (2016). Comparative Study of 5’-Nucleotidase Test in Various Liver Diseases. J Clin Diagn Res, 10, BC01–BC03. Ghaffar, FRA. (2013). Attenuation of CCl4-induced hepatic antioxidants disorder and oxidative stress by Hibiscus rosa sinensis extract in albino rats. Int J Med Plant Altern, 1, 001-012. Vedarethinam, V., Dhanaraj, K., Ilavenil, S., Arasu, MV., Choi, KC., Al-Dhabi, NA., Srisesharam, S., Lee, K.D., Kim, H., Dhanapal, T., Sivanesan, R., Choi, HS. and Kim, YO. (2016). Antitumor Effect of the Mannich Base (1,3-bis-((3-Hydroxynaphthalen-2-yl) phenylmethyl) urea on Hepatocellular Carcinoma. Molecules, 14, E632. Bentli, R., Parlakpinar, H., Polat, A., Samdanci, E., Sarihan, ME. and Sagir, M. (2013). Molsidomine prevents cisplatin induced hepatotoxicity. Arch Med Res, 44, 521–8. Palipoch, S., Punsawad, C., Koomhin, P. and Suwannalert, P. (2014). Hepatoprotective effect of curcumin and alpha-tocopherol against cisplatin-induced oxidative stress. BMC Complement Altern Med, 14, 1-8. Germoush, MO. and Mahmoud, AM. (2014). Berberine mitigates cyclophosphamide?induced hepatotoxicity by modulating antioxidant status and inflammatory cytokines. J Cancer Res Clin Oncol, 140,1103–1109. Hu Y, Ehli EA, Kittelsrud J, Ronan PJ, Munger K, Downey T, Bohlen K, Callahan L, Munson V, Jahnke M, Marshall LL, Nelson K, Huizenga P, Hansen R, Soundy TJ and Davies GE. (2012). Lipid-lowering effect of berberine in human subjects and rats. Phytomedicine, 19, 861– 867. Rich N and Singal G. Hepatocellular carcinoma tumor markers: Current role and expectations. Best Pract Res Clin Gastroenterol 2014; 28: 843-853. Mizejewski, GJ. Alpha-Fetoprotein (AFP) and Inflammation: Is AFP an acute and/or chronic phase reactant? J Hematol Thrombo Dis 2015; 3:1-9. Tawfek, NS., Al Azhary, DB., Abuel-Hussien, BK. and Abd-Elgeleel, DM. (2015). Effects of Cassia fistula and Ficus carica leaf extracts on hepatocarcinogenesis in Rats. Middle East J Appl Sci, 5, 462-479. Dasari, S. and Tchounwou, PB. (2014). Cisplatin in cancer therapy: molecular mechanisms of action. Eur J Pharmacol, 5, 364-378. Cameron, J., Ranheim, T., Kulseth, MA., Leren, TP. and Berge, KE. (2008). Berberine decreases PCSK9 expression in HepG2cells. Atherosclerosis, 201, 266-273. Tan, W., Lu, J., Huang, M., Li, Y., Chen, M., Wu, G., Gong, J., Zhong, Z., Xu, Z., Dang, Y., Guo, J., Chen, X. and Wang, Y. (2011). Anticancer natural products isolated from Chinese medicinal herbs. Chin Med, 1, 1-15. Sivaramakrishnan, V., Shilpa, PN., Kumar, VR. and Niranjali, DS. (2008). Attenuation of N-nitrosodiethylamine-induced hepatocellular carcinogenesis by a novel flavonol-Morin. Chem Biol Interact, 17, 79-88. Ghareeb, DA., Khalil, S., Hafez, HS., Bajorath, J., Ahmed, HEA., Sarhan, E., El-Wakeel, E. and El-Demellawy, M. (2015). Berberine Reduces Neurotoxicity Related to Non alcoholic Steatohepatitis in Rats. Evid Based Complement Alternat Med, 1-14. Ahmed, T., Gilani, AU., Abdollahi, M., Daglia, M., Nabavi, SF. and Nabavi, SM. (2015). Berberine and neurodegeneration: A review of literature. Pharmacol Rep, 67, 970–979. Singh, KB., Maurya, BK. and Trigun, SK. (2015). Activation of oxidative stress and inflammatory factors could account for the histopathological progression of aflatoxin-B1 induced hepatocarcinogenesis in rat. Mol Cell Biochem, 401, 185–196. Balkwill, F. Tumor necrosis factor and cancer. Nat Rev Cancer, 9, 361–371. Afonso, V., Santos, G., Collin, P., Khatib, AM., Mitrovic, DR., Lomri, N., Leitman, DC. and Lomri, A. (2006). Tumor necrosis factor-???? down-regulates human Cu/Zn superoxide dismutase 1 promoter via a JNK/AP-1 signaling pathway. Free Radic Biol Med, 41,709-21. Bzowska, M., Jura, N., Lassak, A., Black, RA. and Bereta, J. (2004). Tumour necrosis factor-a stimulates expression of TNF-a converting enzyme in endothelial cells. Eur J Biochem, 271, 2808–2820. Saile, B. and Ramadori, G. (2007). Inflammation, damage repair and liver fibrosis role of cytokines and different cell types. Z Gastroenterol, 45,77–86. Liu, YF., Wen, CY., Chen, Z., Wang, Y., Huang, Y. and Tu, SH. (2016). Effects of berberine on NLRP3 and IL-1???? expressions in monocytic THP-1 cells with monosodium urate crystals-induced inflammation. Biomed Res Int; 1-7. Mahata, S., Bharti, AC., Shukla, S., Tyagi, A., Husain, SA. and Das, BC. (2011). Berberine modulates AP-1 activity to suppress HPV transcription and downstream signaling to induce growth arrest and apoptosis in cervical cancer cells. Mol Cancer, 10, 1-14.